MOTIVATED SELLER!! Full Offshore Configuration. Fresh inspections recently completed. 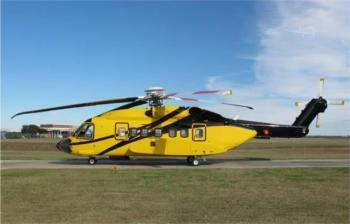 GE/Sikorsky power by the hour available. Immediately available for inspection and sale. ......more. Offshore Configuration, Bristow Maintained, Available Immediately or within 90 days. Stock Photo By: Erlend Karlsen Airframe: 5020 FHR, 6039 LDG, 3373 STS/CYC1. Two General Electric CT7-8 Turbo-shaft Engines w/Integral Particle Separator and Pneumatic Starters. Engine Instrument and Caution Advisory System. Four Blade Fully Articulated Main Rotor System w/Manual Bladefold Provisions.......more.